KILROY has been following my travels since I booked my around the world ticket with them in January. They recently contacted me, and said that ‘The Backpacker Intern’ is a great example of their ‘Explore Life’ philosophy. 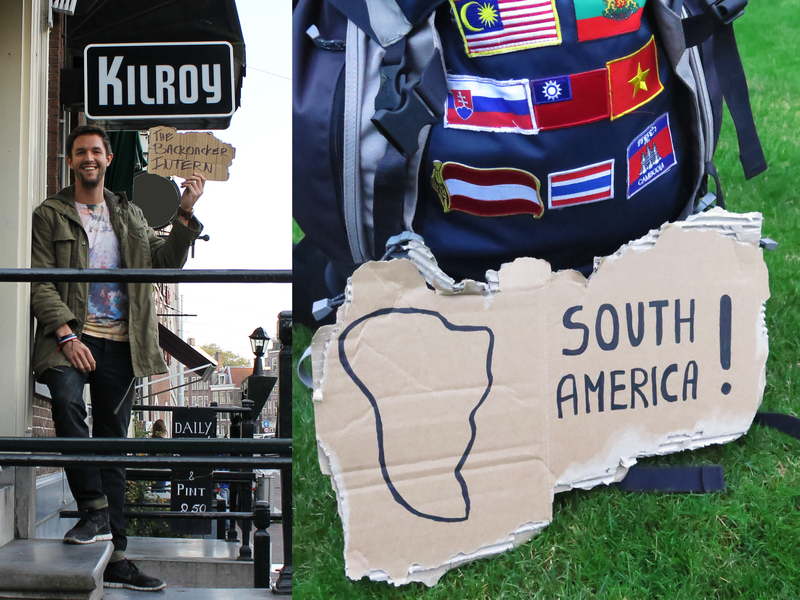 They liked it so much that they surprised me with a multi-ticket to travel to and in South America! Woooooot! If you have a cool project for me at an agency, brand or charity or know someone who does, please let me know at mark@thebackpackerintern.com. Muchas Gracias, Obrigado, Thank You and see you in two weeks! Wooohooooo! Thanks Manouk! Heb er super veel zin in. Waar hang jij ergens uit?